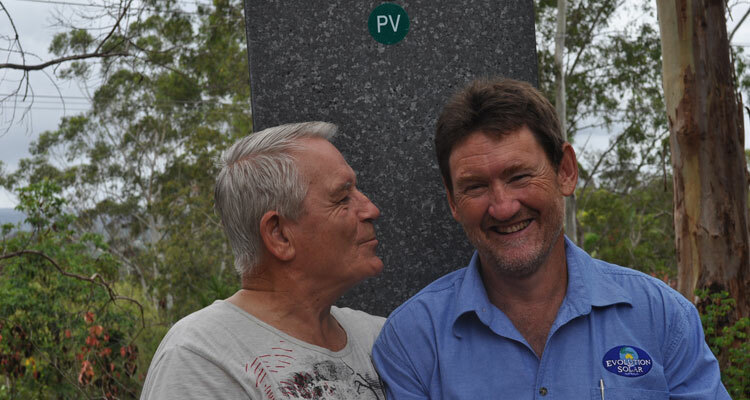 Ron Hill, from the Ron Hill Automotive, had his solar system installed in December 2012 by us here at Evolution Solar Sunshine Coast and so far, he couldn’t be happier! Like many of us around the coast, he was baffled as to why his electricity bills were continually rising. After increasing by 90% in the last five years, Ron’s energy bill was reaching the $1000 mark when he thought “I suppose I should have a look at this solar power business.” Enter Mickey. Ron was paying the most expensive rate for his electricity on all tariffs. All the lighting in his household was expensive halogen bulbs, mostly down lights. He had an old drinks fridge that was running 24/7, was inefficient at the best of times and had weary seals. This alone could have been costing him around $200 a quarter to run. His swimming pool was running on the expensive tariff 11, for long periods during peak times.These small things are usually inexpensive to fix and can save you money in the long run. First of all, Ron called his energy retailer, Lumo Energy, and asked why his rates were so expensive compared to what other electricity companies were offering. Lumo matched the rates on each tariff and gave Ron a discount. Already the savings start. He is not necessarily going to get a return on his investment if he was to change all the lights in his house. Although the cost of efficient lighting has come down, it can still be costly. Therefore, the solution was to change those light bulbs in his house that are used every day and leave the ones that are used infrequently. (Ideally wide angle 60 degree LED lighting would be best or use energy efficient florescent bulbs). Again, we see the savings build up and the power bill go down. It seemed prudent to go and buy a new drinks fridge. Technology is developing all the time, making the old fridges very inefficient compared to what is being produced today. Add that to the fact that his old fridge had weary seals which made the thermostat run 24/7. It would cost him more in a year to run the old fridge than it would to go and buy a brand new fridge. I can see those savings starting to really add up now! We had our electrician (who Ron has known for years incidentally) take a look at changing Ron’s swimming pool over to an off-peak tariff or a hot water tariff which is charged at a cheaper rate to the normal tariff 11. This proved to be quite an expensive job. The alternative was to equip the pool with a timer and run it according to how the pool is used. With the pool not being used frequently, Ron decided to use the timer and now his pool runs every night from 8pm – 1am. I can almost feel that savings pile in my pocket now! 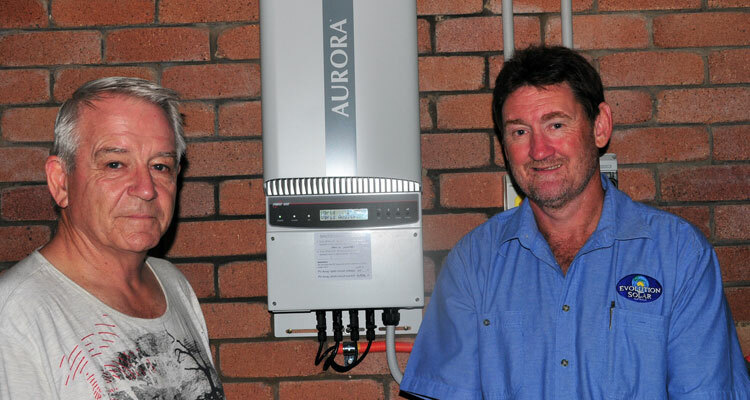 After 33 years in this Buderim home, Ron Hill installed solar power! 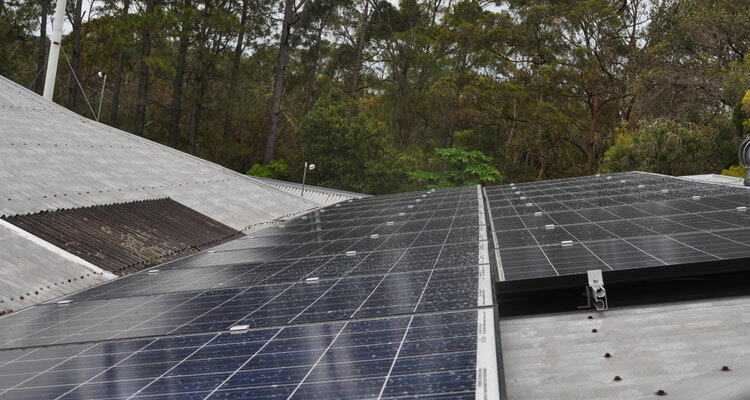 Evolution Solar Sunshine Coast installed a 5.75kW solar power system consisting of 23 x 250W REC panels (award winning, Norwegian solar panels) with a Power-One Aurora inverter. Ron had also applied for the 44c network agreement before its expiry is July 2012. This means that the more energy Ron can use from the grid, the more energy he will export back to power companies at 44c per kilowatt hour (Lumo Energy offer 50c per kilowatt hour – 6c more than the minimum required). electricity charged at around 23c per kilowatt hour while Ron is exporting as much as possible and receiving 52c per kilowatt hour. Ron said it has been “really good” to have someone come and talk you through not just installing a solar power system but your money saving options. With energy bills due to arrive shortly, Ron is excited and looking forward to receiving his next electricity bill as he is confident that he will not be paying $1000 per quarter anymore! Ron Hill owned and ran Ron Hill Automotive for over 30 years and has always been a practical man. It can be confusing when new technologies come along but Ron really appreciated the way Mickey took the time to explain in a way that was logical. Ron said the decision to install solar power was an easy one – it was a no-brainer. He said once Mickey explained, it was easy to see where money can be saved. Dealing with him made the experience of installing solar power pleasurable. Give Mickey a call today on 0421 554 522 and you will be surprised how much he can help you lower your power bills!